Explore India’s smallest state to discover heritage architecture, prehistoric art, stunning national parks and a delectable recipe for spicy fish curry. Delight in a wealth of rugged natural landscapes and Indian heritage in Goa, the country's smallest state. Combine visits to fifth-century temples and sites of rock art dating back 30,000 years with trips to the rivers, waterfalls and beaches that showcase the area’s raw natural beauty. Base yourself by the sea at a beach hut. Wake up each morning, start on your tan or join up with throngs of visitors who start the music early. It’s worth taking your time choosing a hut as some have better and more comfortable facilities than others. Stay by Arambol Beach for gorgeous scenery every day. On Wednesdays, join bargain-hunters at the Anjuna Beach flea market. 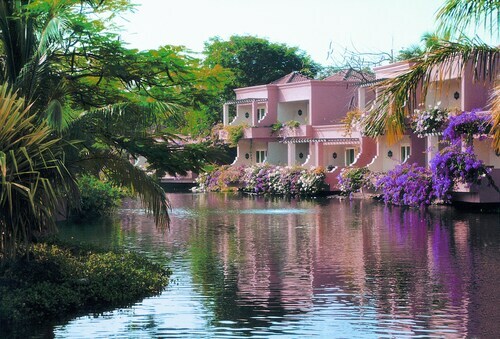 Kalacha Beach offers easy access to the picturesque Sweet Water Lagoon. Walk the curving shoreline of Vagator Beach, which has views of Chapora Fortress. Benaulim Beach is consistently less crowded and hosts regular dolphin-watching tours. For more natural beauty, take tours of the area’s national parks. These reserves surround the Western Ghats, a mountain range known for its vibrant wildlife population. See temples surrounded by jungle at the Bhagwan Mahaveer Sanctuary. Listen to guides pointing out Bengal tigers, panthers, barking deer, leopards and macaques. Get a photo opportunity with panthers or bears at the Bondla Wildlife Sanctuary’s zoo. Deer-watching safaris and elephant rides can be organized through local agents. Venture into the history of the city at its fifth-century temple. This construction is devoted to the god Brahma. Admire the Portuguese-influenced architecture of the Shanta Durga Temple complex. Discover more about this history at Old Goa, a UNESCO World Heritage Site that served as the region’s capital during Portuguese rule. Goa’s southern region holds a number of prehistoric sites featuring rock art and relics that remind visitors of the length of humanity’s story. Fly into Goa’s Dabolim Airport. The weather is best for visiting from October to January, though the spring monsoon season is a great chance to see lush countryside. 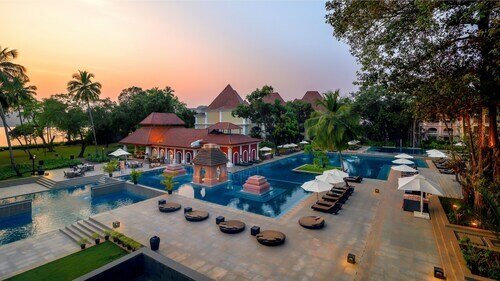 Situated on a stretch of beach where the Mandovi River and the Arabian Sea meet, Goa Marriott Resort & Spa is a 5-minute walk from downtown Panaji, Goa's capital. Miramar Beach is .7 km (.4 mi) away. 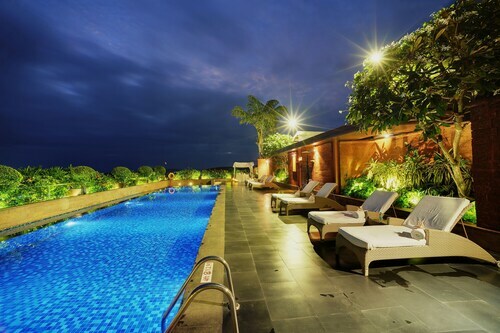 Located in Candolim, this beachfront hotel is connected to the convention center, just steps from Fort Aguada and Candolim Beach. Calangute Beach is 2.9 mi (4.6 km) away. This family-friendly Cavelossim resort is located near the beach, within a 10-minute walk of Mobor Beach and Cavelossim Beach. Varca Beach and Our Lady of Gloria Church are also within 6 mi (10 km). 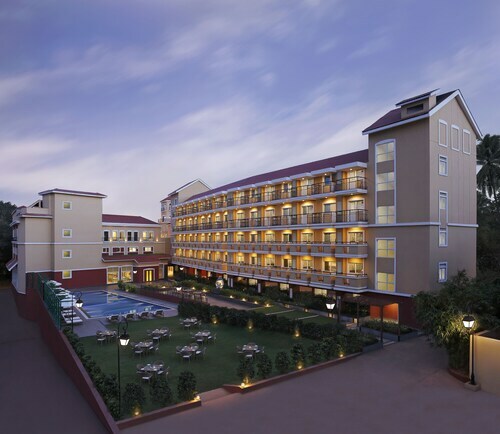 This family-friendly Panaji hotel is located in the business district, within 1 mi (2 km) of Kala Academy, Church of Our Lady of Immaculate Conception, and Bishop's Palace. Miramar Beach and Dona Paula Beach are also within 6 mi (10 km). 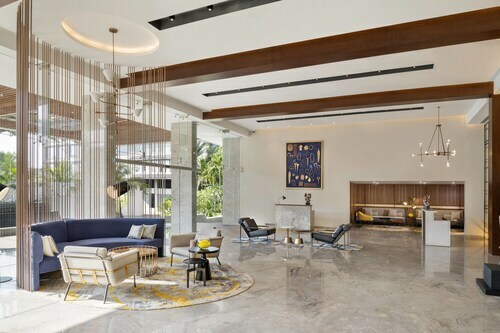 Offering direct access to the beach, this Bambolim resort is within 1 mi (2 km) of Bambolim Beach and Goa Medical College and Hospital. Odxel Beach and Goa University are also within 3 mi (5 km).